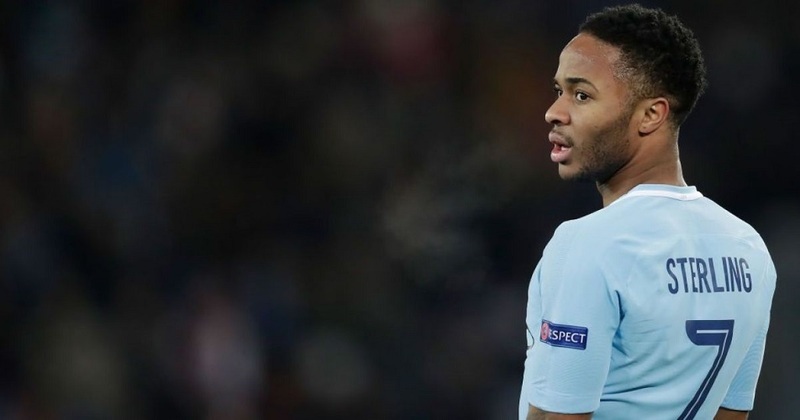 Very few players in the footballing world have had to endure the type of scrutiny and criticism England’s Raheem Sterling has had to face. The player has seemingly always been at the end of a grilling from fans and pundits alike, but the Manchester City star has never retaliated and has had his footballing prowess answer his critics throughout his career. The tide had always been against Sterling, ever since he was a two-year-old. The loss of his father to a gunshot wound was the beginning of a wondrous story of a young boy who learnt to smile at the face of adversity and went on to prove himself at the biggest stages in world football. The Jamaican-born youth moved to England from Kingston with his mother and sister at the age of four. The Sterlings never had it easy though. Raheem’s mum had to encounter various hardships and lived paycheck-to-paycheck, cleaning toilets and replacing bed sheets with her children in hotels to make some money while studying for her degree in West London. The troublesome kid from London had only one agenda on his mind, football. Sterling worked his way through the ranks from playing in his Sunday League side to the Academy of Queens Park Rangers, a move he was sceptical about at first, but upon further insistence from his mother, the young prospect turned down one of the biggest clubs in Arsenal to gain recognition from the top scouts. And it’s fair to say that the move worked in his favour. The 15-year-old made his debut in England’s U16 side while also securing a move to Liverpool. Rafael Benitez signed the young player for a fee of 500 thousand pounds in 2010. Two years later, Sterling made his professional debut for Liverpool at the tender age of 17 against Wigan Athletic. Slowly but surely, Sterling exhibited his brilliance with the ball, thereby ensuring his place in the Liverpool side, either as a substitute or as a starter. The prospect dazzled his peers and manager with his sheer, unrivalled pace. His first start in the Premier League came under against Manchester City in a 2-2 draw at Anfield and he has not stopped since. The opposition defender would be often found dumbfounded, such was the pace and trickery of the teenage sensation. Not long after his debut in the 2012-2013 season under the tutelage of Kenny Dalglish, Sterling was handed his first international cap for England. It was not till the 2013/14 season where Sterling started to imprint his talent in the Premier League. Now marking his appearances consistently under Brendan Rodgers, the winger had his greatest season in the red of Liverpool. Playing alongside Luis Suarez and Daniel Sturridge to form a deadly front three, Sterling had an important part to play in Liverpool’s title charge. His tally of 9 goals and 7 assists was rightfully merited with an inclusion in the Young Player of the year shortlist, alongside other starlets including Ross Barkley, Aaron Ramsey, Luke Shaw and the eventual winner Eden Hazard. The much-awaited Premier League trophy ultimately slipped from their grasp to Manchester City, leaving the Merseyside club still hunting for their 19th title in England’s top flight. The gifted youngster’s consistently glittering performances earned him the 2014 Golden Boy award and a second consecutive inclusion in the shortlist for the Young Player of the Year. After asking to be left out of the Liverpool pre-season tour and missing a couple of days of training due to illness, Sterling made the headlines for being the most expensive English transfer of all time. The player had moved to Manuel Pellegrini’s Manchester City for a record-breaking 50 million pounds in 2014. It didn’t take long for the Liverpool fans and the tabloids to label him a ‘snake’ or a money hungry player. Sterling has since been the target of endless accusations that are simply in poor taste. He has become the perfect fall-guy or a scapegoat for the country. The star has been booed all around the English grounds as a result of the media or the tabloids creating this faux-image of the young England International; where he is influenced by all things money-related. The media doesn’t think twice to scrutinize the winger, as evident throughout Euro 2016, particularly after the Three Lions’ shocking Round of 16 exit to Iceland. It is normal to see the player’s image in the headlines for all the wrong reasons. Hailed as a ‘disgrace’ after England’s dismal displays, it has become a somewhat popular opinion among the City faithful and Sterling-sympathisers that the player unnecessarily carries the brunt of the criticisms. The number 7 has been chastised in the media ever since his transfer to the blue half of Manchester and they seemingly never forget the astronomical wages. An excerpt of a BBC radio show with pundit Ian Wright this season stated that there may be undertones of racism with the abuse collected by the player, almost on a weekly basis. Although the reason for the abuse is rooted in the fact that he chose to side with City instead of Liverpool, it can be said that the star had not been performing for his national team at the same level as he does under Pep Guardiola’s Manchester City. Glaring errors in the major tournaments for his national side has cost the side at times and still only 24, the player has a lot of time to rectify his errors for the Three Lions. Liverpool fans were hoping to see the 20-year-old fail spectacularly in sky blue, but it has all been smooth sailing for Sterling. He won the English League Cup and played in the semi-finals of the UEFA Champions League in his first season for Manchester City. While the Englishman struggled for form under Pellegrini in his first season, the addition of Pep Guardiola from Bayern Munich worked wonders for Sterling. Although the Catalan boss’ first season didn’t bear any fruit, there was a significant improvement in Sterling’s end product. Hailed previously by many as a pace merchant, Raheem was considered as one who flattered to deceive in the final third. A compelling advancement in his finishing ability meant 30 goal involvements in all competitions for Sterling in Pep’s first season. However, in City’s 2017/2018 season when they etched their names into the history books by becoming the first team in Premier League history to end the season in triple digits. Crucial goals in the dying embers against Southampton, Huddersfield, Everton and Bournemouth had a vital part to play in the side’s road to eternal glory as the ‘Centurions’. 18 goals and 15 assists in the Premier League alone meant that Sterling had his greatest individual season yet. His contributions were perhaps overshadowed by the phenomenal season Mohamed Salah had or even by his teammates Kevin de Bruyne who won the Etihad Player of the season and Leroy Sane who beat the burgeoning forward to the Young Player of the Season award. A tally of 23 goals and 17 assists across all competitions set the England international nicely for the FIFA World Cup 2018 in Russia. While Gareth Southgate and co.. reached the semi-finals of the World Cup against all expectations, the likes of Jordan Pickford, Harry Kane and Kieran Trippier were hailed as heroes. However, many criticised Sterling’s contributions without realising how difficult Sterling’ role was in the tactical setup itself. Fast forward to 26th March 2019. Raheem Sterling has just scored his 4th goal in 3 days for England in the 2020 Euro qualifiers. The winger scored a hat-trick in the game against the Czech Republic before scoring another in a 1-5 victory in Montenegro. 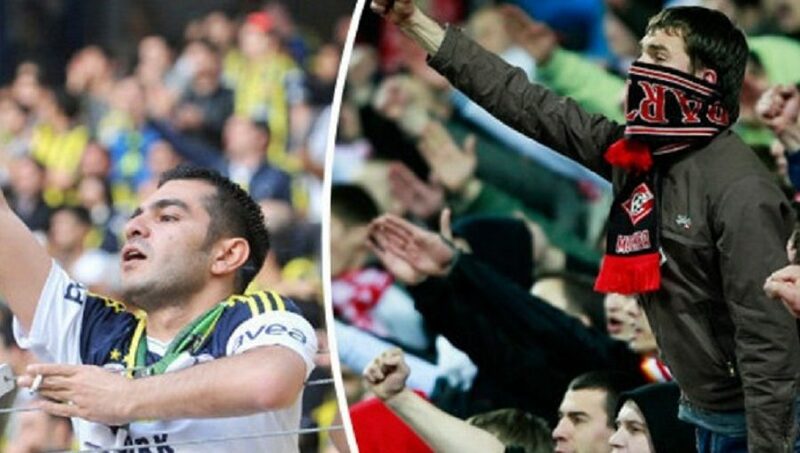 The winger was acclaimed by many for his brave celebration and statements against the racist Montenegrin support. The England number 7 let his performance speak for itself against the disgraceful section of supporters, much as he has done throughout his career to silence his haters in England. 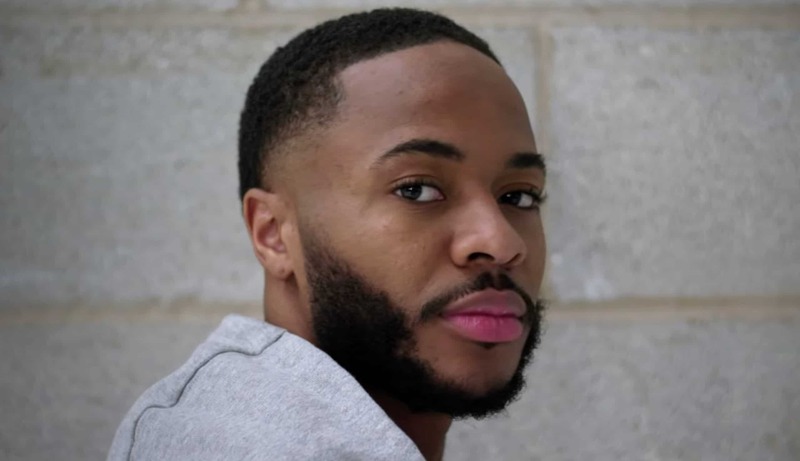 Sterling has emerged as a source of inspiration and has been the perfect role model for young, black footballers and their fight against racism. So much so, that speculations of handing Sterling the captain’s armband in the near future have arisen. Still prevalent in 2019, racism has no place in football and his celebration against Montenegro epitomised his class by letting his talents answer his critics rather than stooping down to their levels. In addition, his aloof reaction to racist Chelsea fans at Stamford Bridge earlier this season was just another example of the Englishman’s model behaviour. Off the pitch, Sterling penned a letter to a young City fan who was suffering racist abuse and found a stem cell donor for the late Damary Dawkins, a former youth player at Crystal Palace. This rich run of form has not been limited to only his national side. The City winger has emerged as one of the frontrunners for the Player of the Season trophy. His tally of 15 goals and 11 assists in the Premier League in 27 appearances has been nothing short of sensational. Other contenders seem most likely to be City’s Bernardo Silva, Sergio Aguero and Liverpool’s defensive titan Virgil van Dijk. The number 7 has finally mastered his finishing ability, a quality which was possibly the last piece of the jigsaw puzzle keeping him from the label of being a ‘world class’ player. Along with his menacing speed and trickery, Sterling now has an eye for goal and has a penchant for finding his teammates in the final third. It is fair to say that the winger has finally lived up to the potential he displayed, ever since he was a 17-year-old raw talent. Sterling was in a music video called Black by an artist named Dave that celebrates black culture and he showed his gun tattoo in the video. This was further evidence of him becoming a face for anti-racism in football. It is surprising to see that Sterling is still applicable for the Young Player of the Season trophy. Still only 24 years old, the player seems like he has been terrifying defenders for more than a decade, and that is just the start of his career. Sterling has already scored 64 goals in his Premier League career in 219 appearances. With murmurs surrounding Zinedine Zidane eyeing a move for the star to rejuvenate his struggling Real Madrid side is a testament to how far Sterling has really come. While no one divides opinions in the Premier League quite like Raheem Sterling, there is no denying the fact that he is one of the most influential and inspirational players in the league’s recent history who is unquestionably on his path to greatness.